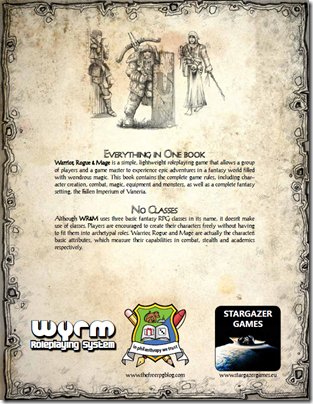 This morning I made character, spell, equipment and variant sheets available for download at the WR&M page. There’s a normal and printer-friendly PDF. 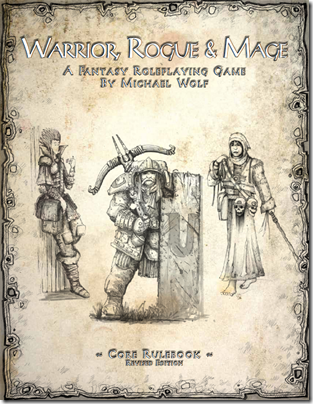 Both PDFs contain the two-paged character sheet, a variant sheet if you want to use the “Warrior, Rogue & Scholar” option, a spell sheet which contains a lot of space for your spells and notes, and last but not least an equipment sheet. 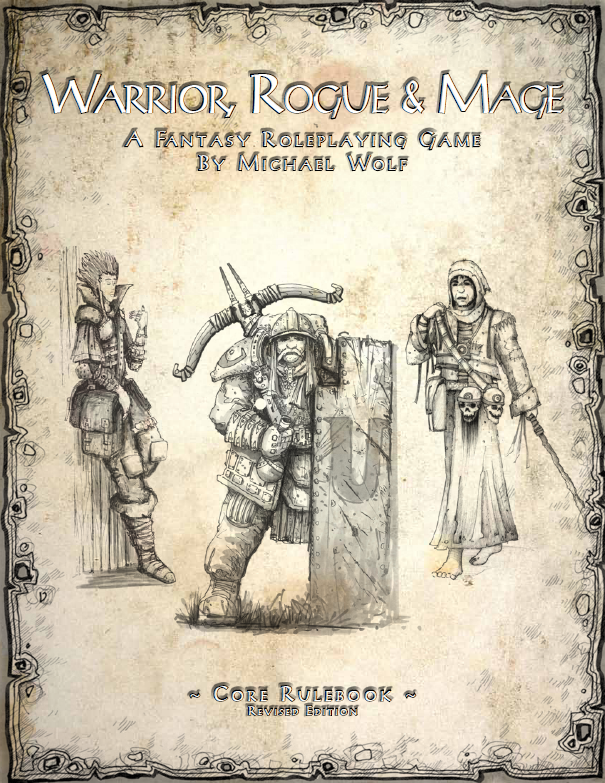 Just a few minutes ago I uploaded the revised Edition of WR&M to DriveThruRPG. There you can download it for free! I will make it available on other sites as well when I come back from GenCon. I will definitely be looking into releasing a print-on-demand version on Lulu. So if everything works as planned, you’ll be able to order your own print copy of WR&M before the end of this year. 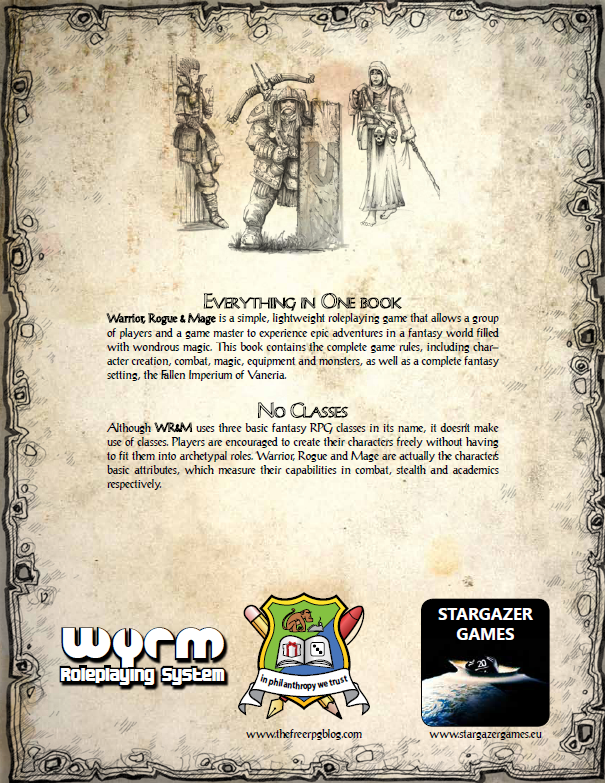 If you like the game, please write about it on your blog, post in your favorite forum or write a review on DriveThruRPG. Please help to spread the word! Now that the deed is finally done, I can relax and think about my next project. I’ll probably release a couple of supplements for WR&M before I start to work on a SF version of this game. So stay tuned! 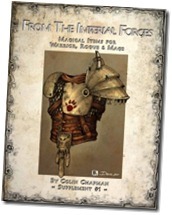 Please note: The 4-paged amateur version is still available for download here.